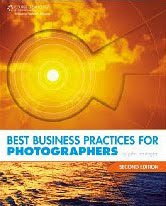 UPDATE: Harrington has just released the second edition of Best Business Practices for Photographers. And at 523 pages, it has nearly half again more information than does the first edition. In addition to being the standard photo business book of this generation, it has evolved to include a significant amount of timely new information. Added to the second edition are insights such as how to transition from newspaper shooter to freelance, how to wade through the new electronic copyright filing system, how and when to file DMCA notices -- and how to wade through and survive a full I.R.S. audit. Normally when talking about a book, you compare it to other books in the genre. In this case, I know of no worthy peers to against which to measure this book. It is THE source for all things business when it comes to being a professional photographer. It is written within the framework of U.S. law and business practices. But there is so much information there that people working outside of the U.S. will find it exceptionally useful, too. If you are a professional photographer, or are contemplating becoming one, get this book. At less than $25, it is an absolute steal. Think of it as ... stupidity insurance. My suggestion: Go to Amazon via the link above and use the "look inside the book" feature to browse it. Even if you do not agree with everything it has to offer, you would be nuts to work without it as a reference. It has become the compass point for a generation of photographers, and it will get much use from any pro shooter. I finally got a chance to finish John Harrington's new book, Best Business Practices for Photographers. What follows is the full review I promised when I first wrote about it. If you are an amateur, are happy being one and will always be one, this book is not for you. 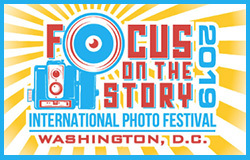 If you are a professional photographer who is already an expert in business, hiring, pricing, overhead, accounting, all forms of contracts, negotiations, copyright, infringement of copyright (and how to remedy it,) handling slow- or no-pay clients, writing business letters, using an attorney, storage, archiving, digital asset management, stock, the care and feeding of clients, ongoing education and balancing photo/family life, you might not need to spend $23 on this book. But my guess is, John has something to teach you. Most photographers who fail do so not based on their photographic skills, but because of a lack of business acumen. And for many working shooters, a working knowledge of what is in this book will be the thin line between making it -- and not. Best Business Practices for Photographers the whole business playbook, from both the strategic and tactical points of view. The first thing he does is to teach you how to think of yourself as a business. Which you'd darn well better learn how to do, ASAP. He gets into equipment and the planning and logistics of a shoot right off the bat. From there, he's off to financial and personnel considerations - from assistants, employees and contractors (and the pros and cons of each) to how to price your work to stay in business. Again and again, he is about strategizing for the long haul. Do you even think about overhead? 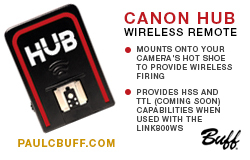 I would wager that most photographers who ultimately fail did not think about things like that until it was too late. You need to learn about your business costs as well as the salary - yes, salary - that you will be paying yourself. Fail to consider either, and it's game over for your photo career. This book is a reference for photogs wanting the basics on insurance, accounting and legal info, too. And legal info is one of the areas where the book shines. John goes so far as to include a variety of actual contracts for you to read and educate yourself. If you have been a long-time Strobist reader, you know that I am all about "no secrets." And John is there, too. In spades. He really expands on the contracts. They do exist for your protection, you know. He has chapters on contracts for editorial clients, corporate clients - even weddings and other rites of passage. These are hard-won documents born of costly mistakes. They are there to give you a free pass on those mistakes. And speaking of no secrets, he also includes long threads of actual e-mail exchanges between himself and his clients on a variety of subjects. What an idea. The names are redacted, of course. But the point is he shows you exactly how he does this stuff. And how they respond. And what he said next. And so on. From a no-holds-barred perspective, this book bares it all. You're crawling around inside the guy's brain. He spends a lot of time on copyright, infringement, and the theoretical vs. practical remedies to the latter. That's critical info to a content producer. Look, I know many of you eat and drink this photo stuff. You look at pictures all day long. You are gear wonks. You crave the next "fix" of making a really hot image. But if you are gonna do this for a living, this guy is a Photo Business Rock Star, and he is laying his oversized brain bare to the world. For twenty frickin' dollars. If you follow his roadmap and still fail, you can take comfort in knowing it was probably because you sucked as a photographer. Because this book has the biz stuff covered. Best Business Practices, by John Harrington, is published by Course Technology. The list price is USD $34.99, but it is available at Amazon for about $23.